Hi! I’m Adalina and I care for Beatrix the red panda in Hamill Family Wild Encounters. Today is International Red Panda Day, an important day for red panda education and conservation. A red panda’s dietary requirements includes up to 90% of bamboo. Every day, animal care staff set out 5 pounds of bamboo. 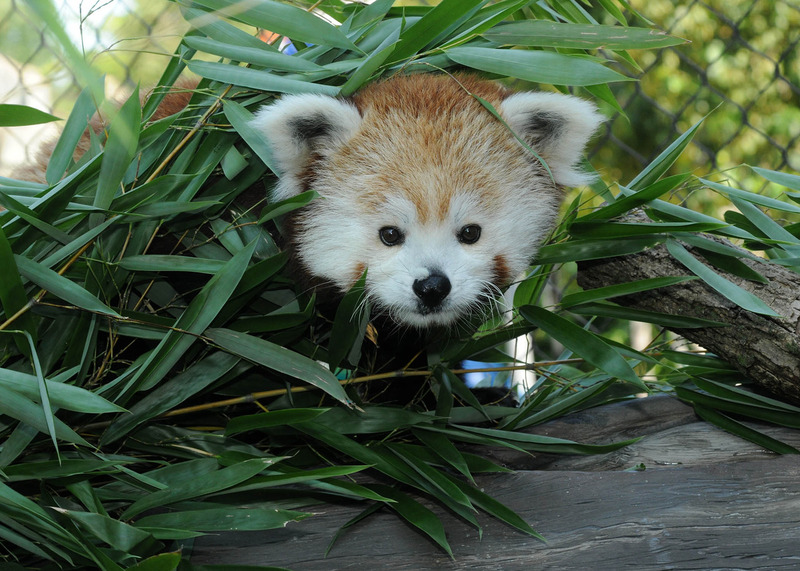 Over the course of a year, our 15 pound red panda eats over 1800 pounds of bamboo! Beatrix, with daily training, has learned to touch her nose to a target and to step on a scale. These behaviors allow animal care staff to do daily checks and make sure her weight is stable. Red pandas are from Asia, and can be found in high altitude temperate forests with bamboo groves. Giant Pandas are also found in Asia and their main diet is also bamboo but are not related to the red panda. The word ‘panda’ is derived from the Nepali word meaning "eater of bamboo.” Every morning I set part for the red panda’s diet in a special enrichment tree, where a computer program randomly opens doors throughout the day. This encourages natural foraging behaviors. Celebrate International Red Panda Day year round! Come visit Beatrix on exhibit at Hamill Family Wild Encounters at the Brookfield Zoo. Want to support red panda conservation? Consider Forest Stewardship Council (FSC) certified wood for building projects. This eco-friendly lumber is harvested sustainably, supporting healthy forests.